The original instrument, a three rank Wicks, was installed in the sanctuary in 1958. 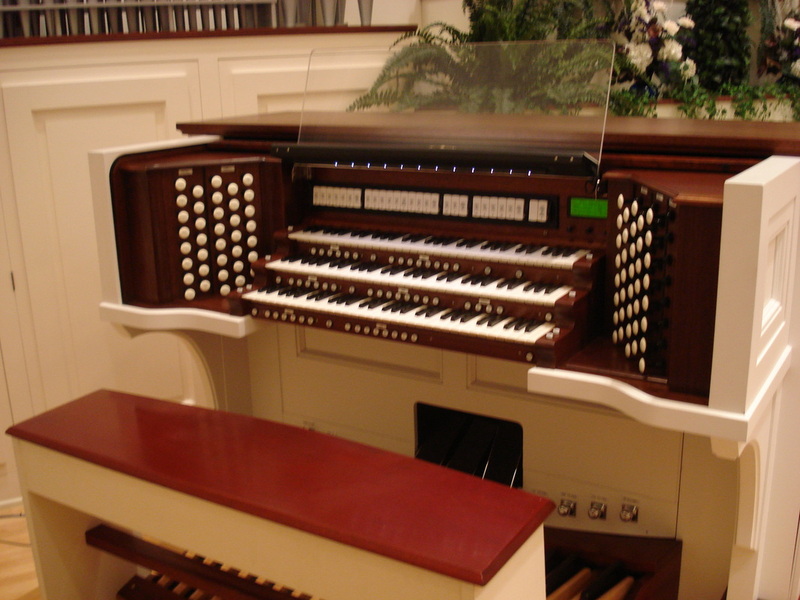 That instrument was replaced by an 11 rank Moeller pipe organ in 1980. The organ is currently undergoing renovations by our resident pipe organ builder, Terry Nace. Mr. Nace is overseeing all aspects of the organ project. In 2008, during the sanctuary renovation project, the console was built and the digital additions, powered by Hauptwerk, went online. Additional pipework rebuilding and revoicing is currently underway. Our Sanctuary piano is arguably one of the finest instruments in York County. 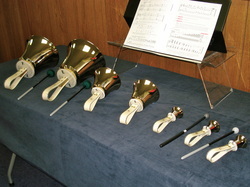 It is used to lead worship on Sunday mornings and for many musical events and concerts. It was donated in memory of Mr. and Mrs. H.P. Kelly by their children. 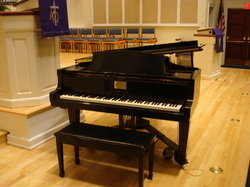 This piano was donated in 2006 by Elwood and Etta Spangler for use in Christian Life Center. 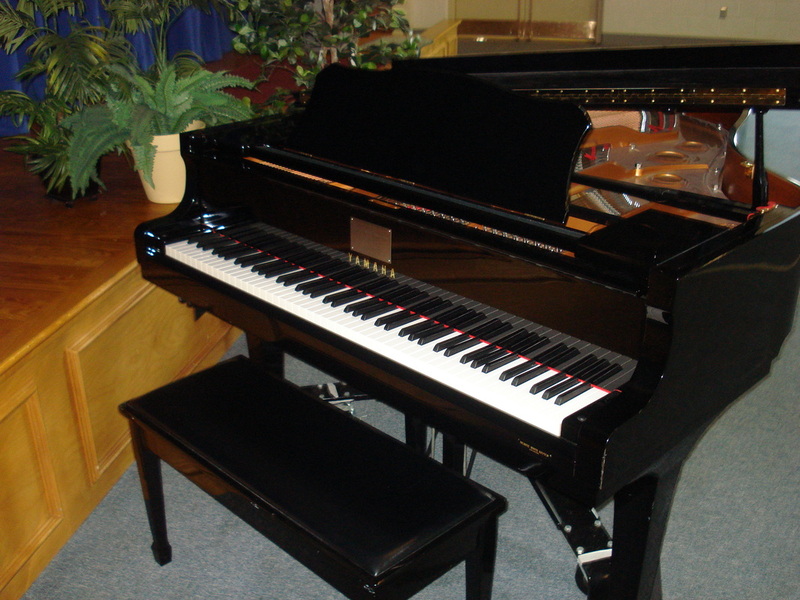 It is used on Sunday mornings by our praise band, At His Feet, and throughout the week by other musical groups. 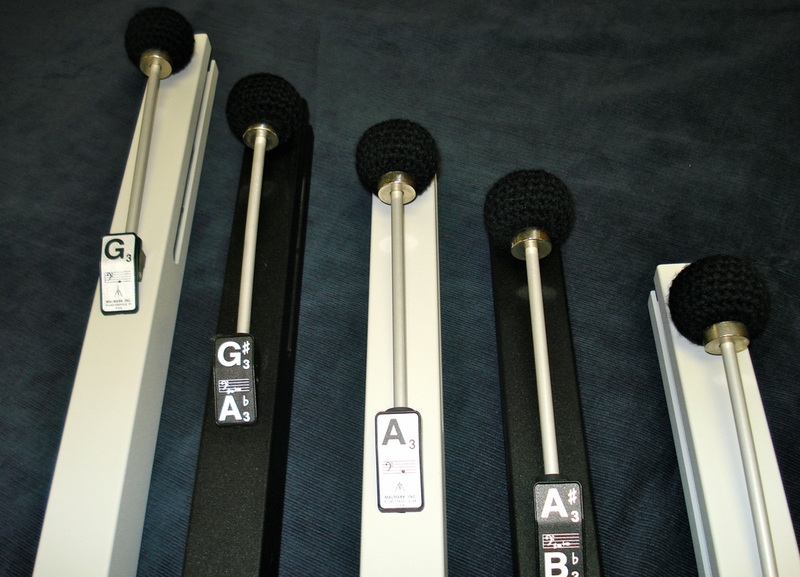 The original 4 octave set of bells (G4-G7) were purchased in the 1980's. The fifth octave was added in 2008 with donations from the memorial fund. 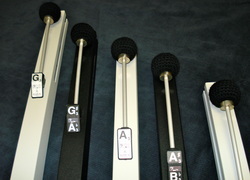 The complete 5 octave set was completely refurbished by Malmark in 2012. The chimes were donated in 2006 by Sara Little. They are used by Majesty and the Celebration Ringers.